Green Ranger is hooking it up with our new PARTY PACK! 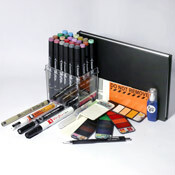 This blackbook giftset is fully loaded with everything you need to get the party started including a blank blackbook, mechanical pencil for outlining, watercolors for fills and backgrounds, super shiny Molotow Liquid Chrome for poppin' accents, a big box of DUAL ENDED Ironlak markers and SO! MUCH! MORE! We even threw in a sampler set of our exclusive AP x EggShell stickers and a metal-tipped Press-N-Go for all the sticker fiends. Whether you cop one for yourself or a few as gifts for the crew, remember: this PARTY is limited edition so get it while you can! $59.99, over a $100 value. Suitable for all ages. 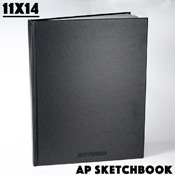 1 x AP Sketchbook 6"x9"
This is a perfect black book set as is. Covered everything you need. 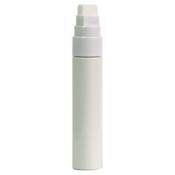 This product was added to our catalog on Sunday December 16, 2018.